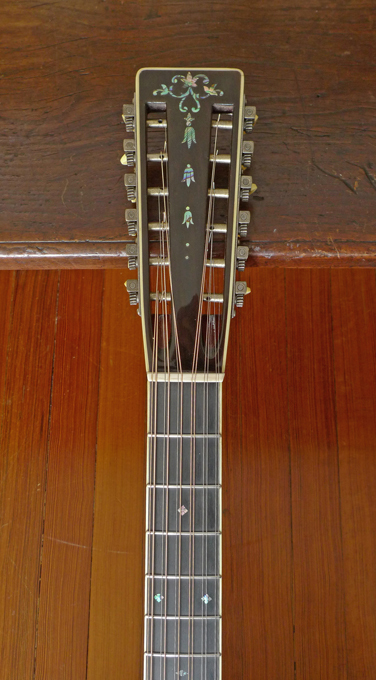 Very few modern luthiers have captured that Larson Brothers sustain and what I call “shimmer” with a new build. 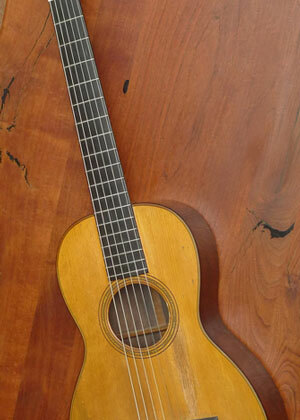 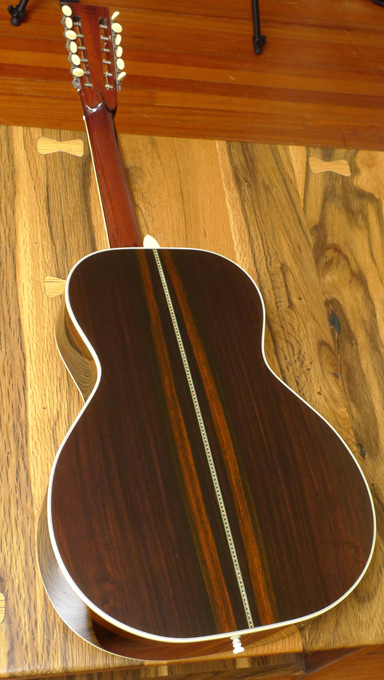 This guitar, built by the master luthier Hans Brentrup in late 2009, has it in spades. 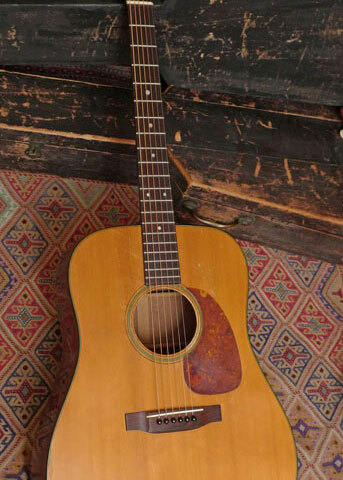 We’ve never played anything but a 30’s Larson Bros’ that has the sustain this guitar has. 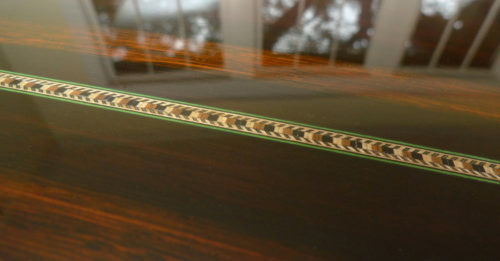 Hans’ unique tone bars do what only the Larson tone bar system did– get the body of the guitar to sustain and impart that wonderful shimmer to the trebles especially. 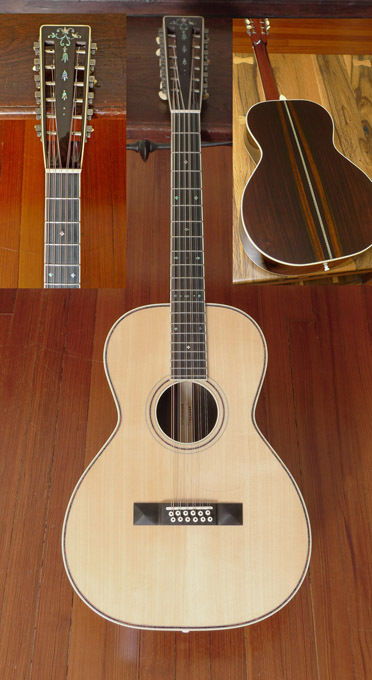 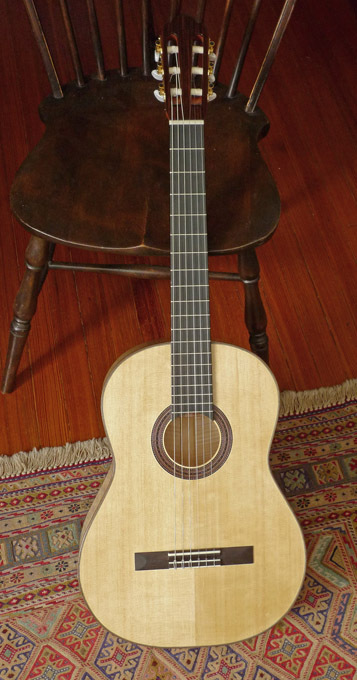 With the top grade Brazilian upcharge, this is a $8K guitar, from the maker. This instrument is in almost mint condition. 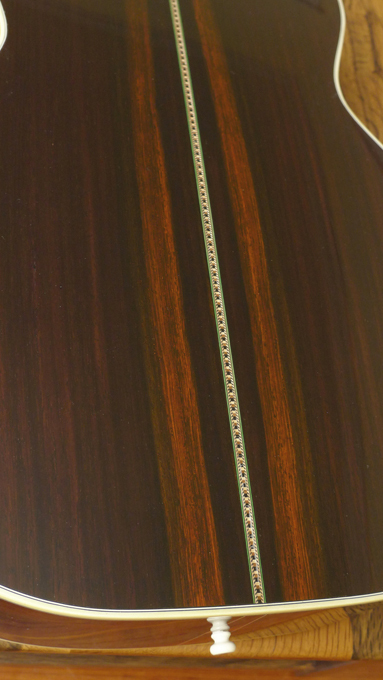 No dings, no cracks or hint of cracks– just the very slightest signs of use (what you might find in a brand new guitar that’s been in a showroom a few weeks).